I thought I'd share some pictures of my "adventures with needles" (did I mention that I HATE needles? I really do! ); but some people have told me that this whole process no matter how scary and unpleasant is worth it - haha! So, onward we go, right?! At least I'll have something to hold over my child's head one day to guilt them into doing chores, "Do you realize that I had to give myself shots in the stomach to have you?! The least you can do for me is vacuum the floor!" Haha! I'm KIDDING!!!! So, tonight at 8 p.m. on the dot was time for shot #2; and being an "old pro" at this now (yeah, right!) I thought I'd put up some pix of how the whole "shot in the stomach thing" goes down. This is my FSH "hobby kit" - ha! 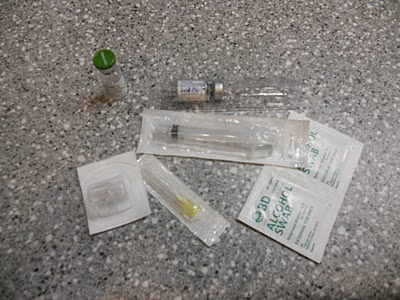 It has everything I need to mix up my own FSH with some saline in the syringe then putting the needle on, wiping off my tummy with the alcohol swab, and off I go to administer the shot! 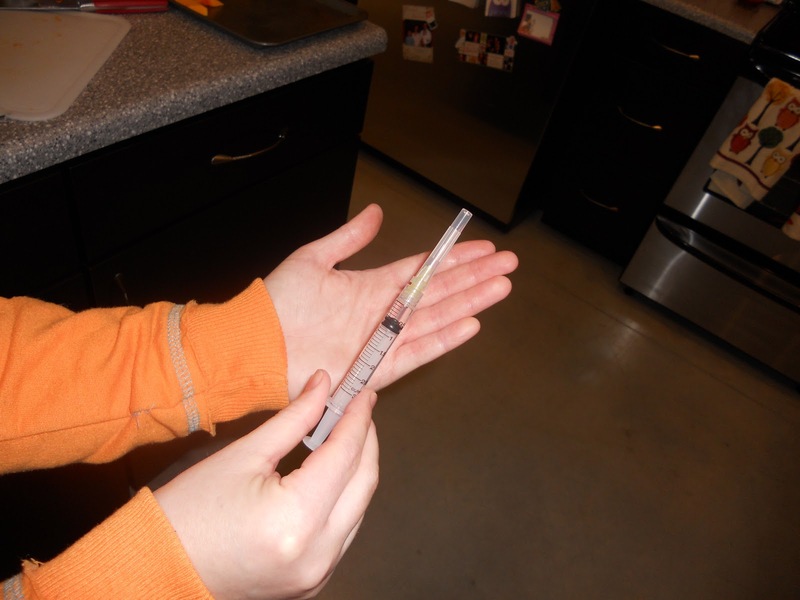 This is what the syringe looks like with the solution in it ready to go and the needle on it ready to inject. 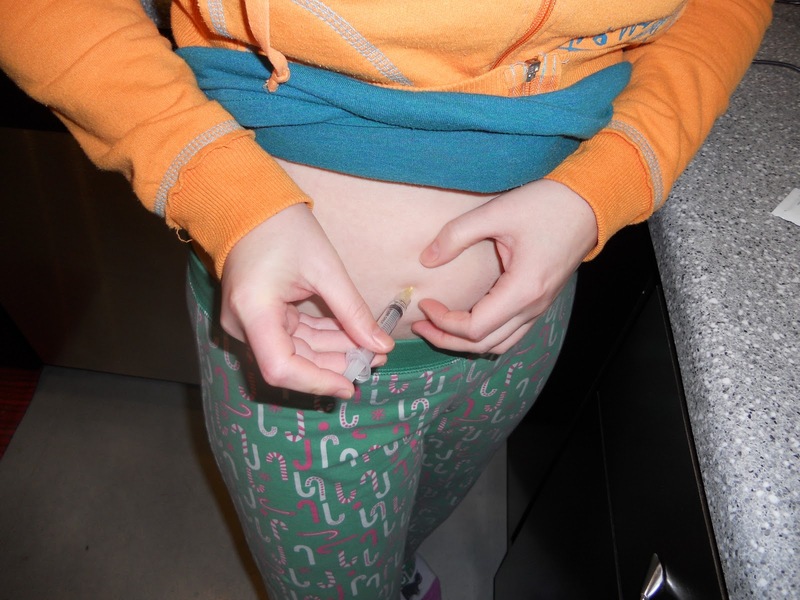 Lastly, after I've released the pinch and the needle's just "in" my tummy, I push the fluid in through the syringe. Et voila! The act is done! The snow and ice kept us inside and away from work today. I hope if you're being bombarded by the elements that you're staying warm and safe out there! More news and updates coming soon as we barrel down this wild and crazy adventure!